In order to claim these units, you'll have to log into Total War Access and activating this "Free-LC" from the dashboard. Once that's done, you should see something for the units that you can click on that will allow you to activate/download them. There's an FAQ and a listing of all 30 Regiments that are being added (six per the five races) over at the Total War blog. Total War: WARHAMMER is available via Steam for $59.99. Two player online co-op is supported throughout the campaign, and up to four players are supported in multiplayer team battles (human vs AI). 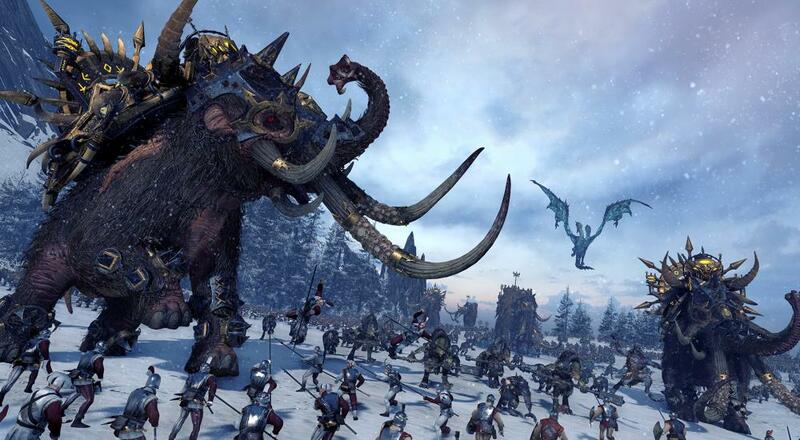 The sequel, Total War: WARHAMMER 2, is slated for release at the end of September and brings with it four new playable races, the ability for two players to play the same faction in the campaign, and promise of a unified Grand Campaign that ties in the existing Total War: WARHAMMER campaign map with WARHAMMER 2's at some point in the future (assuming you own both).